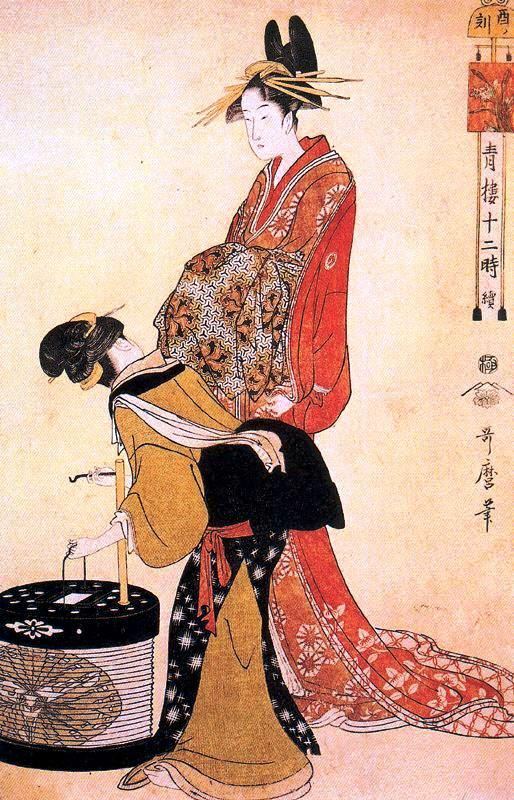 These are Utamaro’s depiction of each of the twelve hours of the traditional Japanese clock. 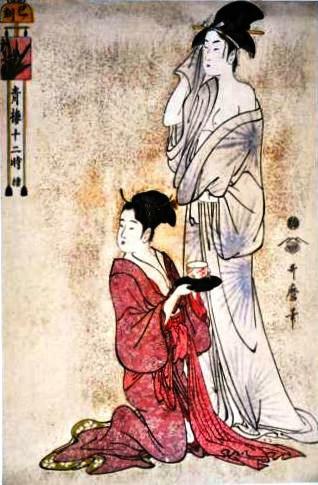 The Hours constitute a series of ukiyo-e (“pictures of the floating world”) prints. 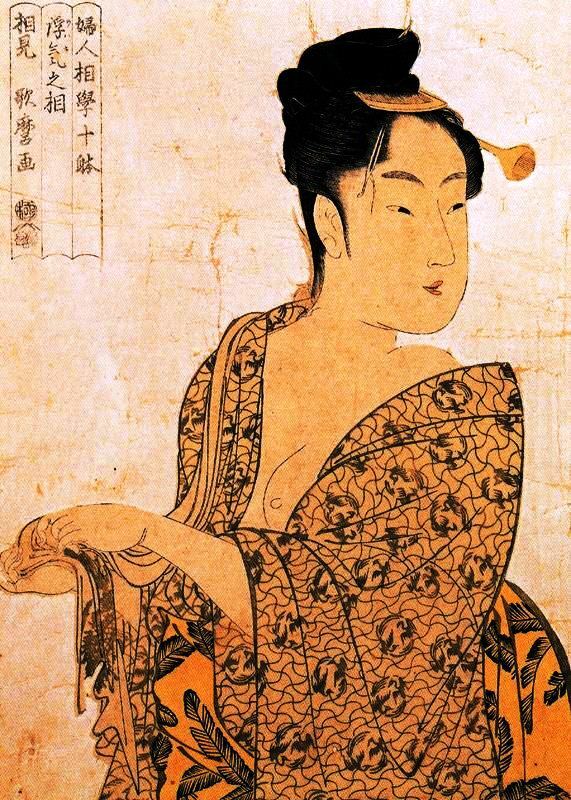 Utamaro is the first of the three Japanese artists I have featured. 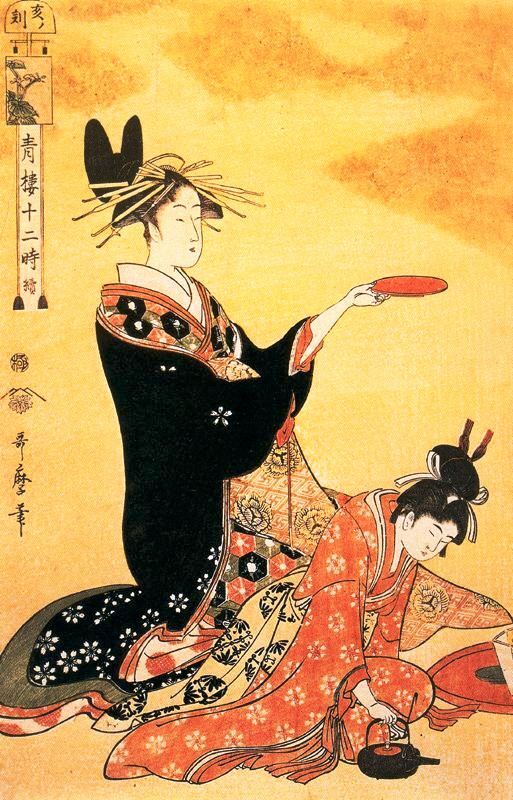 His bijinga, or bi-jinga (“beautiful person picture”) earned him fame. Each hour is named after an animal. 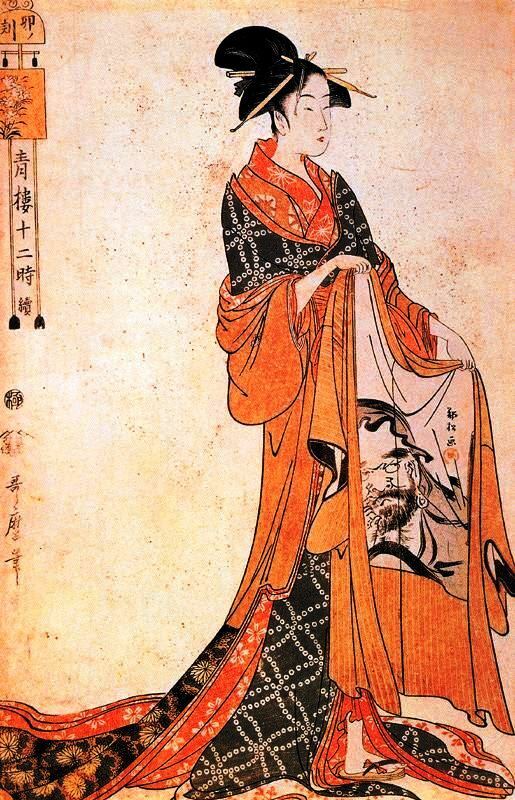 Japan has its bestiary, except that the symbolism attached to Oriental animals often differs from the symbolism attached to animals inhabiting the Western bestiary. The significance of each animal has little to do with the “real” or mythical animal. These animals are anthropomorphic, i.e. humans in disguise. In the Western world, we have Books of Hours based on the Liber Usualis and the Rule of Benedict. The Liber Usualis is a compendium of Gregorian chants rooted in Western monasticism. There are eight Canonical Hours observed by monks. As for Books of Hours, they are religious in spirit, but were made for lay Christians. Les Riches Heures de Jean de France, Duc de Berry features exquisite illuminations, from enluminures (FR), and fine calligraphy. The Fitzwilliam Book of Hours is also an exceptional work of art. Human beings have chronicled time, beginning with hours. However, months are also chronicled as are seasons: soltices and equinoxes. 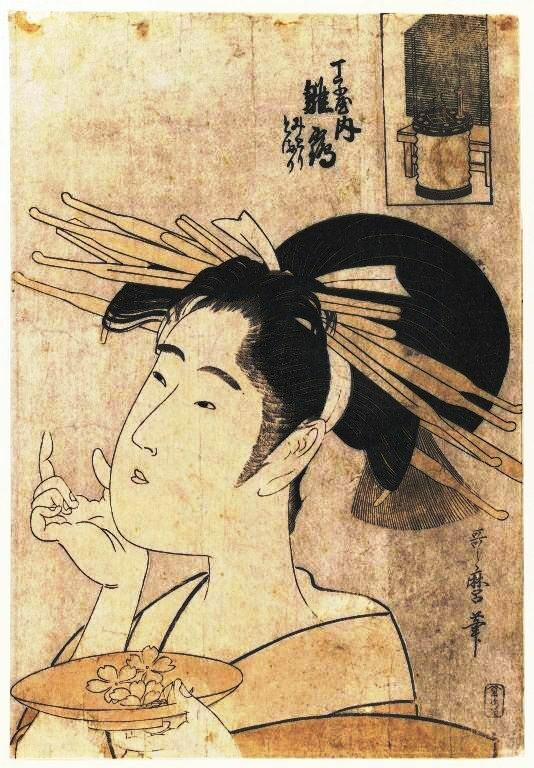 Meisho (“famous places”) prints show not only famous places, but people going about their everyday activities or domestic duties and some are divided according to seasons. 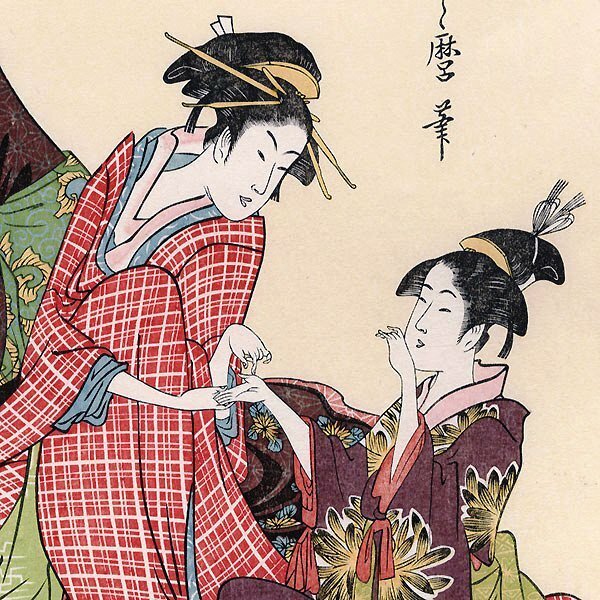 Utagawa Hiroshige‘s series, One Hundred Famous Views of Edo is divided into seasons. 5. 6. 7. 8. 9. 10. 11. 12. 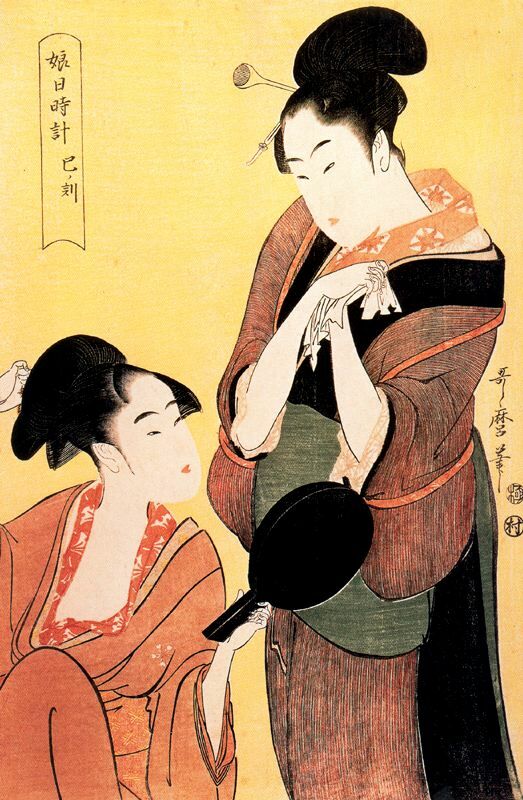 These are Utamaro’s depiction of each of the twelve hours of the traditional Japanese clock. 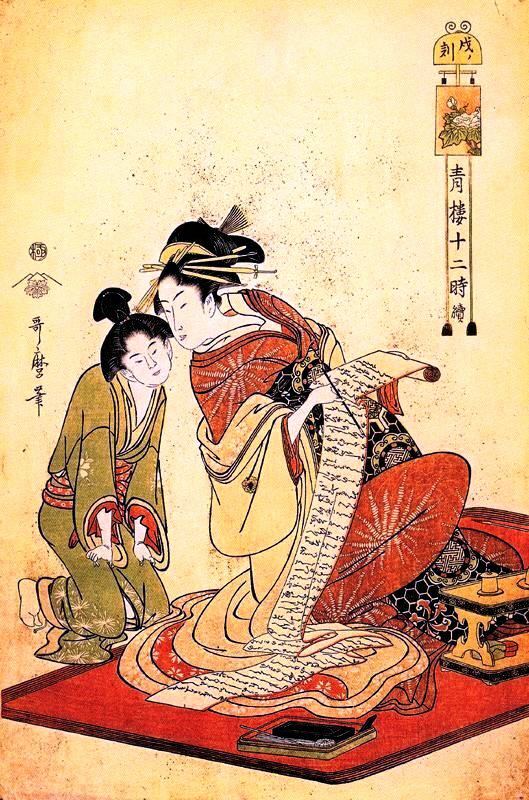 The Hours constitute a series of ukiyo-e (“pictures of the floating world”) prints. 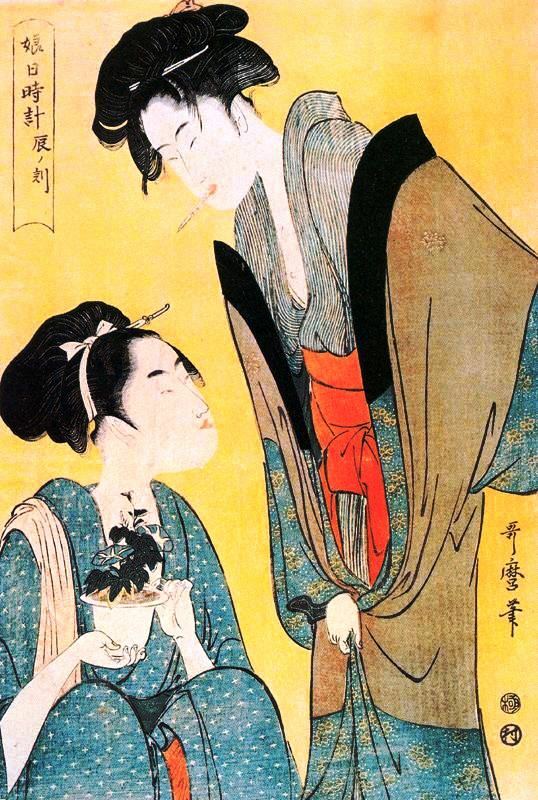 Utamaro is the first of the three Japanese artists I have featured. His bijinga (“beautiful person picture”) earned him fame. Human beings have chronicled time, beginning with hours. However, months are also chronicled as are seasons: soltices and equinoxes. 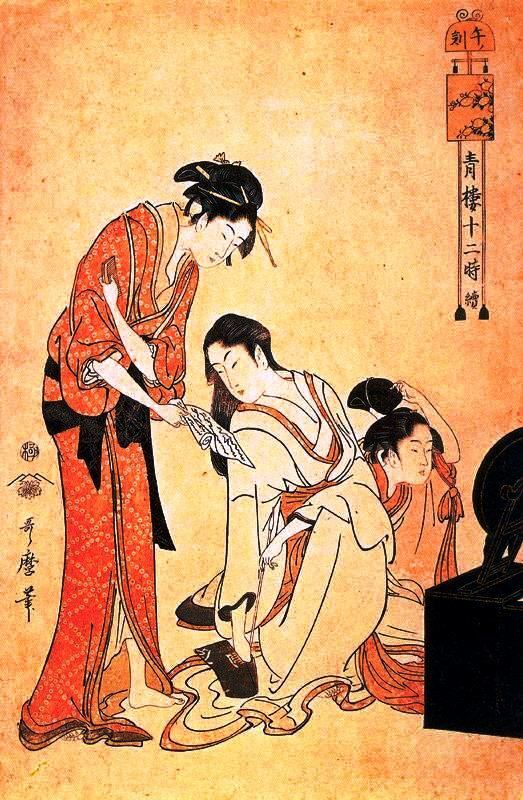 Meisho (“famous places”) prints show not only famous places, but people going about their everyday activities or domestic duties and some are divided according to seasons. Utagawa Hiroshige‘s series One Hundred Famous Views of Edo is divided into seasons.